Over nearly 20 years Aidan has contributed to the wider context of music, film and TV, which has seen him work with some of the biggest artists in the industry. His contribution to music has seen him release work on Parlophone, Global Underground, Crosstown Rebels, Get Physical, Bedrock Records, Rebellion, My Favorite Robot, Olmeto Records, Surrender All, Culprit, Akbal Music and more. As a DJ he has seen a career that has stretched the globe and has highlights of some of the most revered slots, playing gigs at Miami Winter Conference, Amsterdams ADE, Manchester’s The Warehouse Project, Barcelona’s Sonar Festival, Mexico’s BMP Festival, The UK’s Glastonbury Festival and playing alongside on his journey such esteemed artists as Art Department, Bill Patrick, Bob Moses, Bushwaka, Carl Craig, Craig Richards, Clive Henry, Damian Lazarus, Davide Squillace, Denis Kurtel, DJ Harvey, DJ Three, Droog, Ellen Allien, Francesca Lombardo, Felix Da Housecat, Fur Coat, Ida Engberg, Infinity Ink, Kevin Saunderson, Konrad Black, Laurent Garnier, Maceo Plex, MK, Pete Tong, Mark Jenkyns, Russ Yallop, Sasha, Scuba, Subb-an, Shaun Reeves, Thugfucker, The Martinez Brothers Tiga the list goes on. Aidan comes from an immensely musical background. His grandmother was a concert cellist and taught him the piano from an early age, whilst his dad played with the Dubliners and his uncle being a multi instrumentalist, one could say music was in the blood. As a classically trained pianist, with a deep interest in electronic music and composition, Aidan went on to study at Leeds College Of Music before progressing on to Westminster University where he received a BA (hons) Degree in Commercial Music. He has subsequently contributed academically over the years to institutions such as Paisley University, Point Blank and more recently contributing to workshops at BIMM Music College. It was whilst at University Of Westminster completing the final year of his degree that Aidan got signed to Parlophone by Dan Keeling. This early part of his career led to him being given the privilege of remixing Gorillas track “Film Music” under his Mode moniker, a B-side to the single “Tomorrow Comes The Day” from their self titled album. Aidan historically spent a substantial part of his career working with his brother James on his UNKLE project. This gave him the opportunity to work with artists like Ian Brown, Queens Of The Stone Age, Massive Attack, Ian Astbury, Autolux, Black Mountain and The Big Pink. It was in this period that Aidan was able to develop his interests in composition for the screen. He cut his teeth on contributing to the score for “An Odyssey In Rome”, a documentary on Abel Ferrara. Following this Aidan composed the music for a BMW commercial with UNKLE that sparked an obsession in bespoke composition for advertising. Other opportunities grew and by the end of his tenure at UNKLE Aidan had worked on four albums, completed countless UNKLE remixes, accrued multiple syncs, scored two feature length films and scored the End Titles for the X-FIles movie “I Want To Believe”. Aidans focus on orchestral arrangements within the Unkle projects he worked on, saw his work performed by the Heritage Orchestra at the Union Chapel and The De La Warr Pavilion. The Heritage Orchestra appeared on Trouble in Paradise and were included in the albums End Titles…Stories for Film and End Titles…Redux, projects Aidan was heavily involved in. In 2010 Aidan went on to score Cherry Tree Lane, a 2010 British urban dramatic real-time horror- thriller film, written and directed by Paul Andrew Williams. Following this In 2011 Aidan went on to score the film “The Caller” a British and Puerto Rican supernatural horror film directed by Matthew Parkhill and written by Sergio Casci, starring Rachelle Lefevre, Stephen Moyer and Lorna Raver. Whilst near the end of his relationship with UNKLE Aidan worked on a documentary sponsored by Relentless called “Lives of the Artists II: Follow Me Down“. This was the start of creating more direct focused relationships with directors, forming relationships that saw Aidan compose numerous projects for brands, film and TV over the years. With a substantial history in contributing to music for brands his clients to date include; ITV, BBC, MTV, CBS, Twentieth Century Fox, Sky, EA Sports, Samsung, BMW, Jagermeister, Amnesty International, DeWolfe, NSPCC, Johnnie Walker, Vertu, Relentless, Audemars Piguet, Chivas, Zurich Insurance, Directline Insurance, CR7, Molinare, HM Government, UK Film Council, Cinefilm, Limelight, Northface, Swatch, Pele, Diamond Bullet, DP, and Eden Parfums. In 2014 Aidan was approached to score another documentary on snowboarding. “Mission Antarctic” was the story of an expedition to the world’s end for Xavier de Le Rue, multiple freeride world champion and former olympian, along with Lucas Debari in search of a new paradise for steep riding. What made this project unique was Aidan was asked to perform the score synced live to the film as a performance at the Curzon cinema in The West End London. This included Aidan performing on an Ableton Live setup, James Carroll of Pure Love performing guitar and a live string quartet. In 2015 Aidan scored the multi awarding short film Cowboy Ben starring Shaun Dooley and Ramon Tikaram and written by Tony Burke. Cowboy Ben was a jet black dark comedy that explored abandonment through the eyes of Ben a bitter and washed up adult man whose never be able to accept responsibility for his own mistakes. Aidan Lavelle, a somewhat chameleon of musical disciplines. Foremost an accomplished composer and producer as well as a successful DJ. Aidan has even transcended his film and TV composition talents to music consultancy and brand identity. In 2016 Artisan created a stunning installation for Samsung, bringing to life the idea of a room filled with high-quality, balanced sound using colour and light. They created a physical representation of sound waves in real time using an installation that fused 411 laser beams with a 4K holographic projection and real-time sound analysis software to physically fill a room with sound and light. Set to music composed by Aidan the installation used light beams to visualise the movement and frequencies of sound through space. In 2017 a highlight was produced in the form of an installation project for Samsung tour the UK summer festivals. A visual and musical user experience that culminated in over 100 original compositions by Aidan. Thousands of festival-goers shared the stage at the Samsung Hypercube and created their own unique 360 performances. Once inside, the Samsung Galaxy S8 took centre stage, controlling the audio and visual effects written by Aidan and the visual ai team, building to create a fully immersive experience. In 2018 Aidan once again worked alongside the luxury brand Audemars Piguet creating a standout campaign that featured the infamous Lebron James, Celebrating the 25th anniversary of the iconic Royal Oak Offshore. 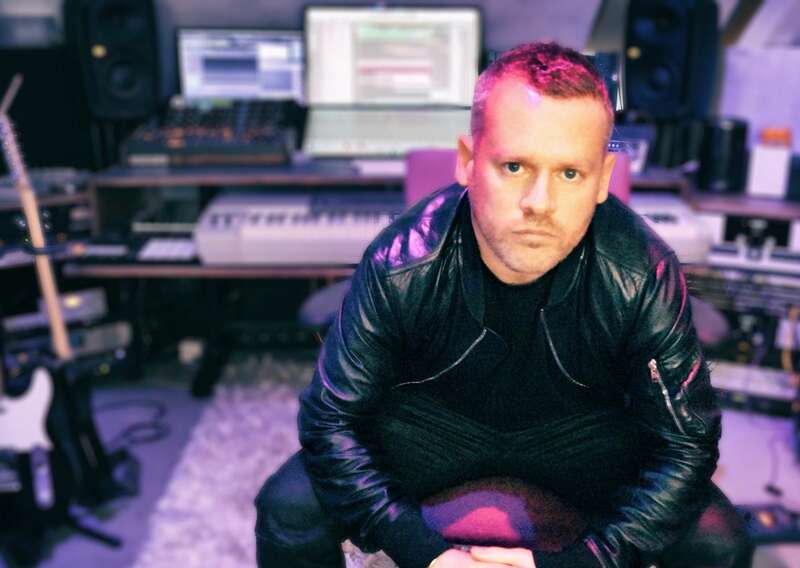 Aidan has also steadily contributed to the world of production music working alongside clients SATV (Sky) and DeWolfe Music again accruing multiple syncs across the international TV stage over the years. Royal Television Society Craft & Design awards 2008.